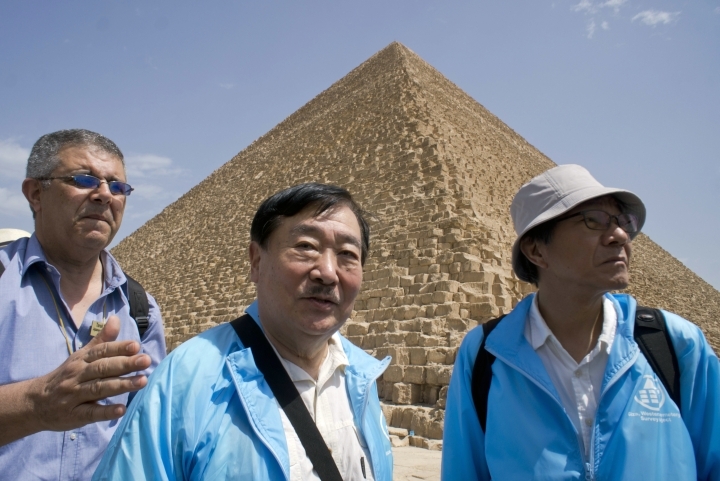 CAIRO — Egypt's famed pyramids at Giza have a newcomer in their midst: the largest on-site antiquities laboratory meant to restore the location's second pharaonic boat. The vessel is believed to be the ceremonial boat of Pharaoh Cheops, known for building the largest of Egypt's pyramids. 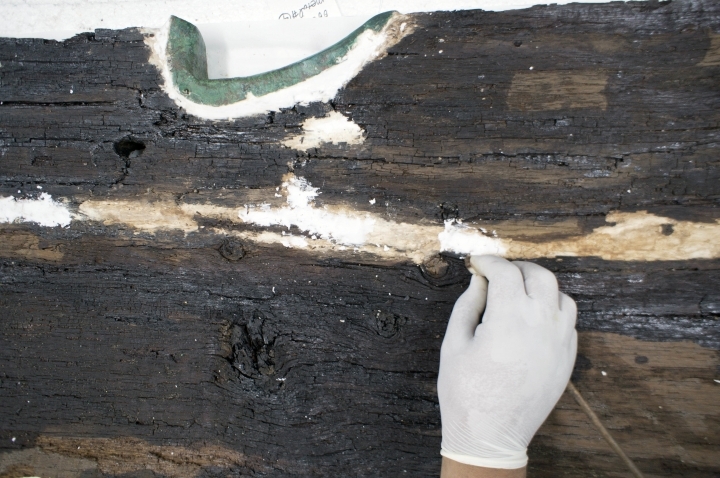 The project, funded by the Japan International Cooperation Agency and the Higashi Nippon International University, is set to complete the initial phase of repairs of the 4,500-year-old vessel by 2020. Once reassembled, the vessel of the ancient Egyptian ruler will be displayed at the Grand Egyptian Museum, currently under construction on Cairo's outskirts and close to the pyramids at Giza. At the lab's inauguration on Wednesday, Eissa Zeidan, head of the project's Egyptian restoration team, told The Associated Press that the lab at the site of the Giza pyramids was necessary for some of the boat's 1,264 pieces, which are too fragile or large to move. According to Zeidan, the Japanese-Egyptian mission has completed the testing of material which will be used to restore the boat, a process that started in 2010. 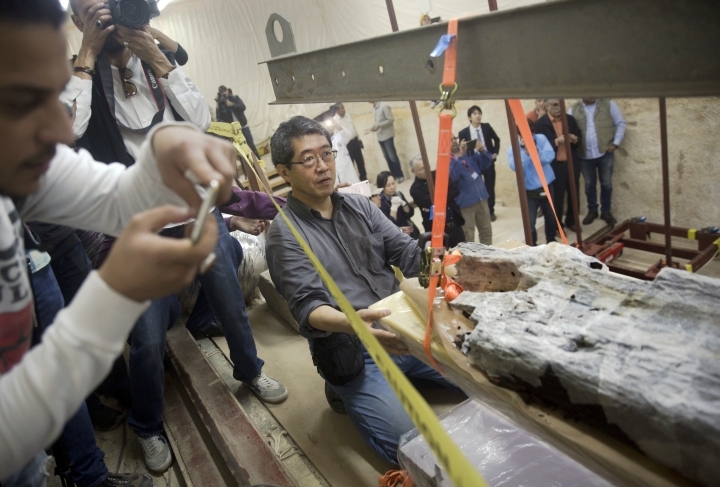 Kanan Yoshimura, a conservator on the Japanese team told the AP that they are using fillers and soft materials, and that the lab's temperature and humidity are adjusted to simulate the atmosphere in the pits where the pieces were stored for centuries. 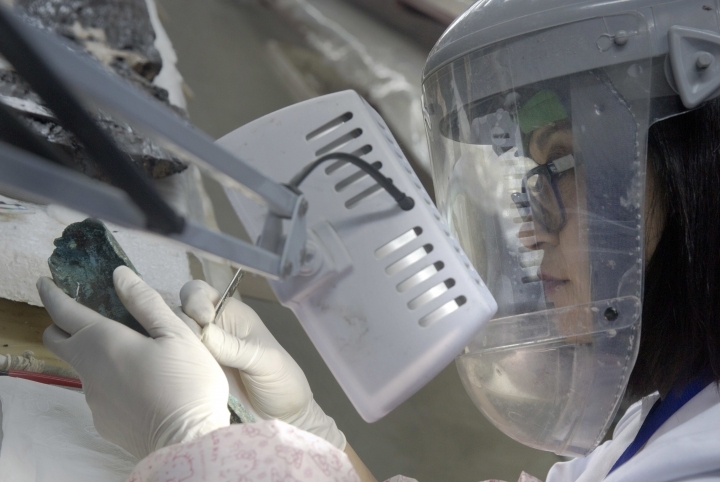 "We will restore all of it, every piece is important," Yoshimura said. The pieces of the vessel and its sister boat, recovered first, were found in five pits surrounding the Great Pyramid, which serves as Cheops' tomb, in 1954. 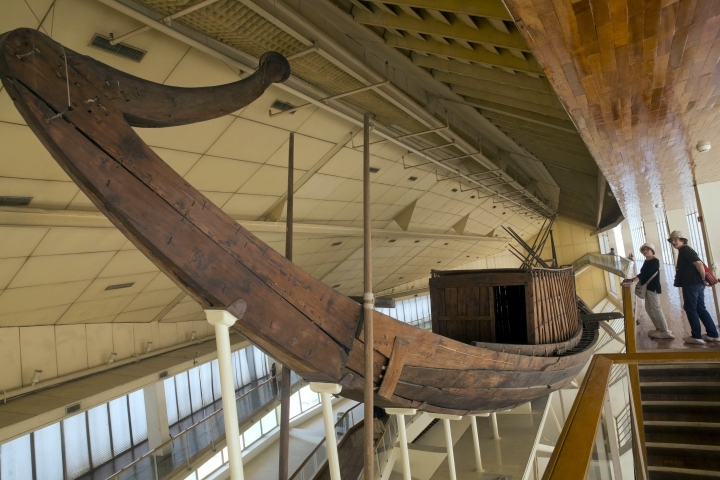 Egypt reassembled the first boat with limited capacities which led to the replacement of some of its original parts. The boats are believed to have been buried with the pharaoh to carry him into the afterlife. The first vessel is currently displayed in a special, air-conditioned building where humidity is carefully monitored, on the grounds that includes all the three main pyramids — the Great Pyramid of Giza, which is also known as the Pyramid of Khufu or the Pyramid of Cheops, the Pyramid of Khafre and the Pyramid of Menkaure, all within a few hundred meters (yards of each other. A few steps down a slope from the complex lies the Great Sphinx. The Great Pyramid is the only one of the Seven Wonders of the Ancient World that is still in existence.